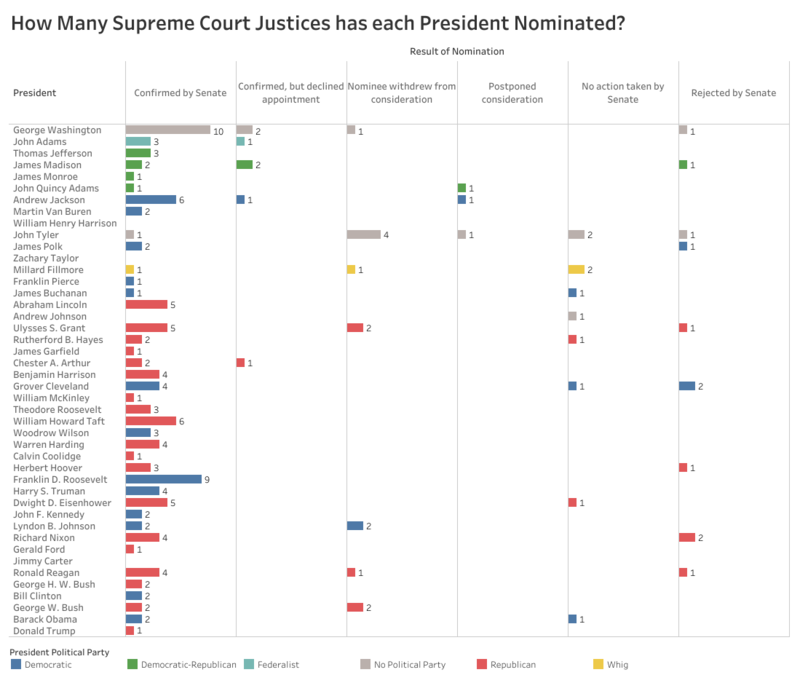 How Many Supreme Court Justices has each President Nominated? 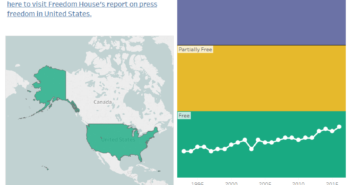 You are at:Home»Special Projects»Politics»How Many Supreme Court Justices has each President Nominated? To make this data visualization, I found data from a Wikipedia article named, “List of nominations to the Supreme Court of the United States”. 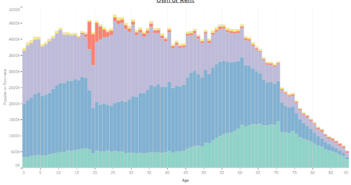 Once I cleaned up the data in Excel, I utilized Tableau to visualize the data. If you are having trouble with the interactive visualization, you can find a static version here.